We’ve all built a ton of WordPress sites. We’ve also managed them all too. 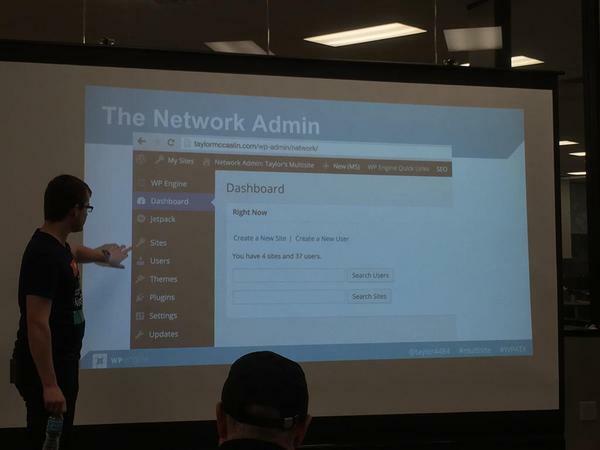 You’ve probably heard about WordPress Multisite Networks, and all the awesome things it can (and can’t) allow you to do. With great power, comes great responsibility. 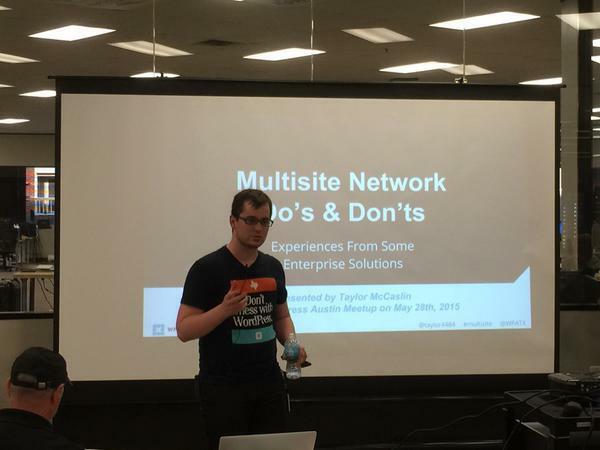 During this talk, Taylor steped through the do’s and don’ts of Multisite Networks. 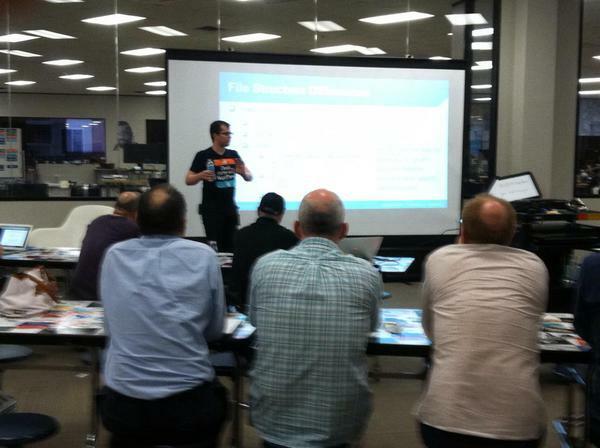 He shared how WordPress Multisite can be your best friend or worst enemy… but usually both… at the same time. Taylor share his pro-tips, eureka moments, and hard lessons learned from his experience setting up and running multisite networks for small private company intranets, all the way to global enterprise brands. 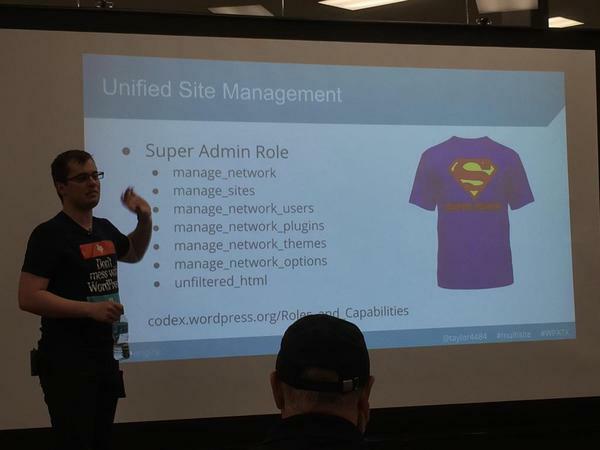 By the end of his presentation attendees learned the pros and cons of WordPress Multisite Networks, best practices for setting up and running a multisite, and know about alternatives if multisite isn’t a fit for your next project. Once again, the WPATX Community thanks our very first Sponsor, WP Engine for their ongoing support of our WordPress community, and so generously sharing the expertise of their in-house expert developers.